The Department of Zoology was established in 1993 with the commencement of BSc Zoology course in order to fulfill the demand of postgraduate courses. Recently the Department has taken a leading step to start Zoology Research Center under the affiliation of Savitribai Phule University of Pune and M.Sc. Zoology with Specialization Entomology. 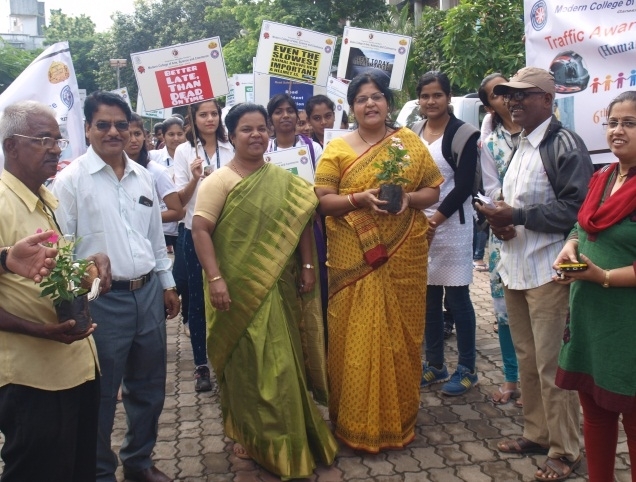 There are research projects funded by UGC, BCUD SPPU, Pune and MAHARASTRA Forest Department. 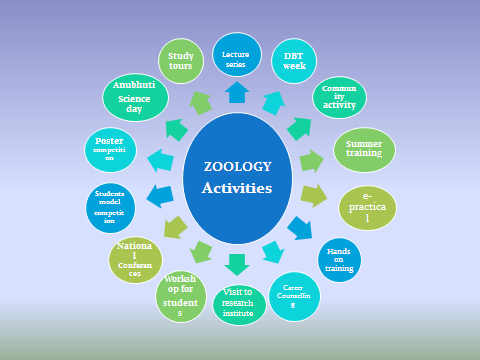 The Department of Zoology has been organize regularly Hands on Training programme, Workshops, summer training and skill based Courses. 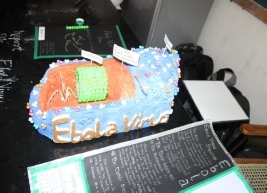 This program is aimed to provide practical training in basic understanding and concepts of tools and techniques used regularly in biology. This training program provided understanding of specific topics and extended forum for small groups of students to exchange ideas on a specific topic of common interest. It covered the fundamental principles and techniques used in the area of Life Science. 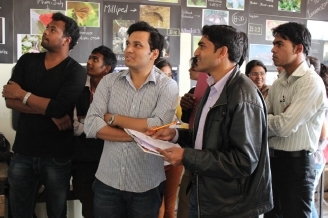 The Student-participants in these courses were given experience of diverse techniques. 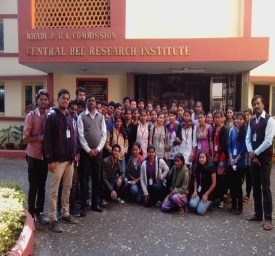 Department regularly organizes study tours, visits to Research Center, Industries and field visits for enrichment of practical knowledge to the students. 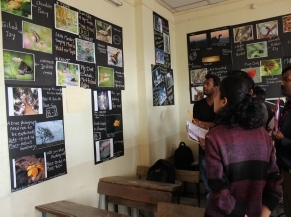 Department also organizes various activities such as Lecture Series, Photographic and model competition-Zoocrafts to enucleating scientific skill among the students. The department is blessed with research oriented and dedicated faculty members. Fostering global competencies among the students. 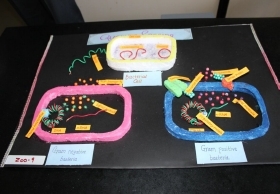 Provide Global platform to the students in the area of Life Sciences. Provide acquaintance about fascinating world of animals and insects and their applications. Qualified faculty with recognition as research guide for M. Phil and Ph.D.
Research work in the areas of Ichthyology, limnology, entomology, herpetology & phyto-chemistry. Organization of courses on advanced topics to supplement the curriculum. Research project sponsored by BCUD/UGC. Department is sponsored by DBT-STAR, DST-FIST schemes. Department has collaboration with different International and National research institutes. Highly qualified and dedicated teachers. Willingness of staff to extend any form of support to the students whenever required. Initiating bridge courses and interdisciplinary courses at F.Y.B.Sc. level. 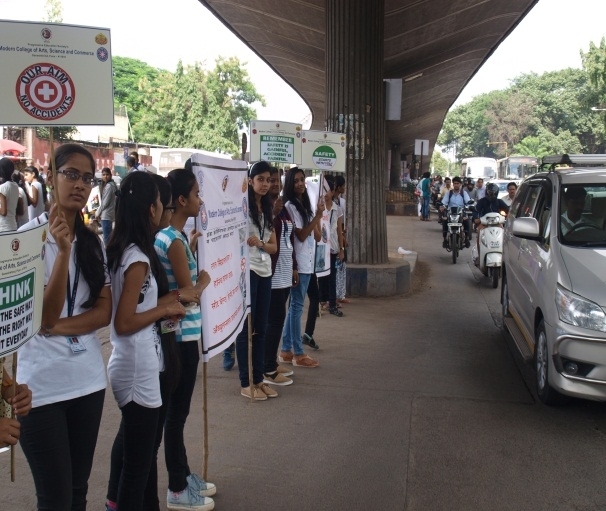 Right from the first day we received overwhelming response from the students of F.Y., S.Y. & T.Y. B.Sc. forcing us to increase the strength of students for this batch to around 40 from 30 students anticipated earlier. Also on this day there were special guests who visited the department. They were Prin. Dr. Sanjay Kharat, Dr. Chinchnikar (Dept. 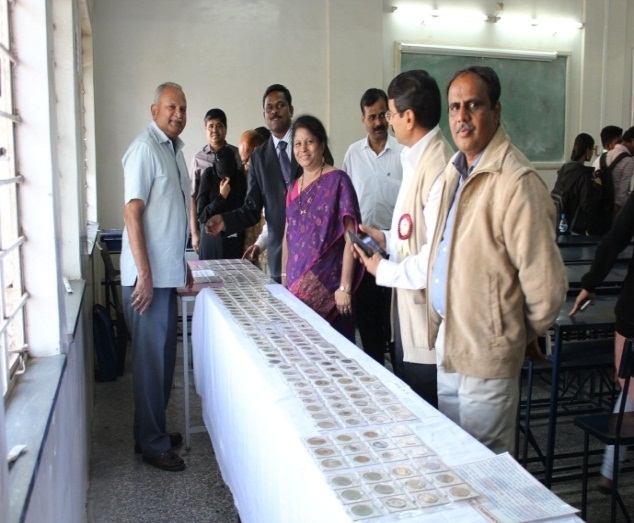 of Botany, University of Pune), and Visitor Prof. P.G. Dixit. 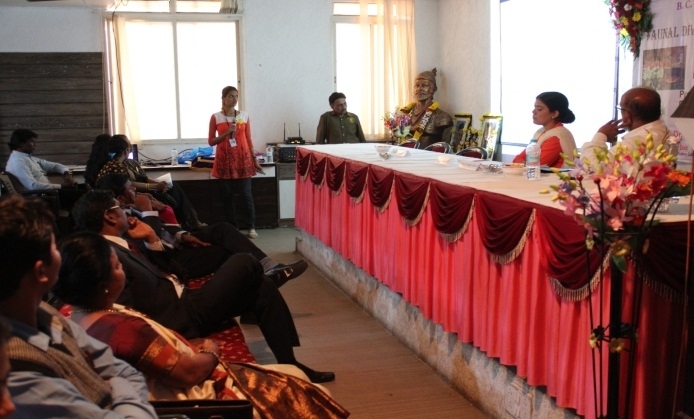 They welcomed and encouraged the students and also guided them regarding prospects of such courses. This was an informal inauguration of the course and all the staff members of the department attended the first day. 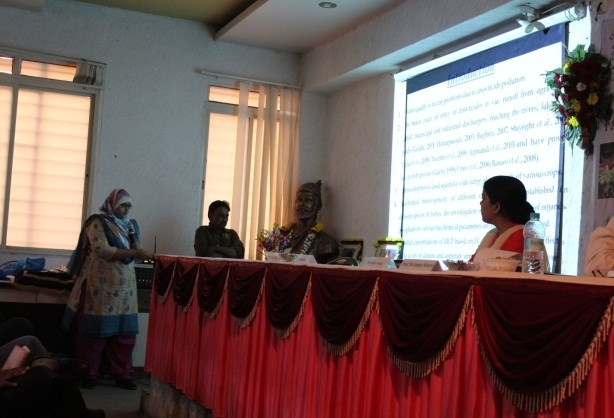 The first session took place from 10.00-11.15am when Mrs. Sangita Sontakke (Asst. Prof. Zoology Dept.) gave the students idea of Bioinformatics. The second session started at 11.30am with detailed discussion about what is Bioinformatics and also the practical demonstrations. Mr. Narendra. V. Nyayanit (Asst. Prof. Zoology Dept., S.P. College) conducted this session. He discussed a variety of areas where Bioinformatics can be applied and by using internet facilities he demonstrated some of the Bioinformatics activities to the students. The students could gather the information of a topic which is usually not a part of their curriculum. 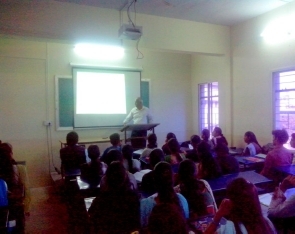 The session was highly interactive and students got motivated to make use of Bioinformatics for number of purposes. This was the second day on which Introduction to Animal tissue culture was scheduled. The first session on this covered the developmental aspects of animal conducted by Dr. S. A. Inamdar (Head, Zoology Dept) from 10.00am – 11.15am. For the second session which started at 11.30 am the invited resource person was Dr. Savita. 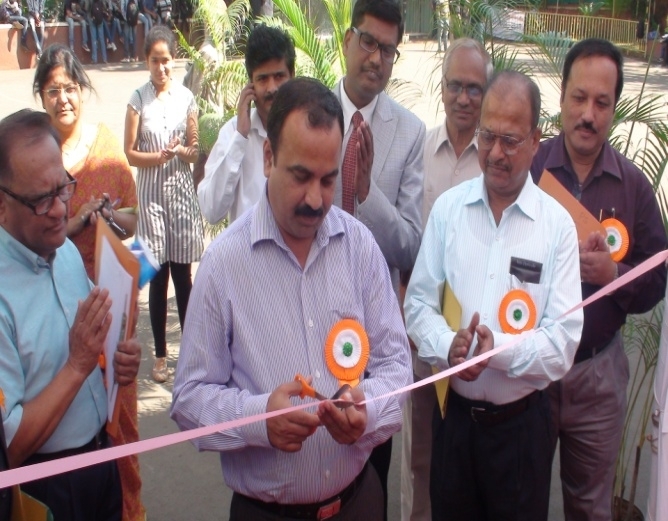 P. Datar, Head, Zoology Dept., S. P. College. She introduced the animal tissue culture to the students and then practically demonstrated to them how to culture chick embryos and also to culture organs. In a group of 5-6 students, students also performed the culturing of chick embryos which showed growth up to 72 hours later. It was an interesting practical for the students and they are now interested in culturing and maintaining chick embryos on their own for carrying out various projects. 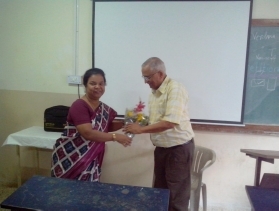 On the third day of the course, Mrs. Bharati Patil (Asst. Prof. Zoology Dept.) conducted the first session from 10.00am – 11.15am. She spoke about Scope of Biological Techniques. 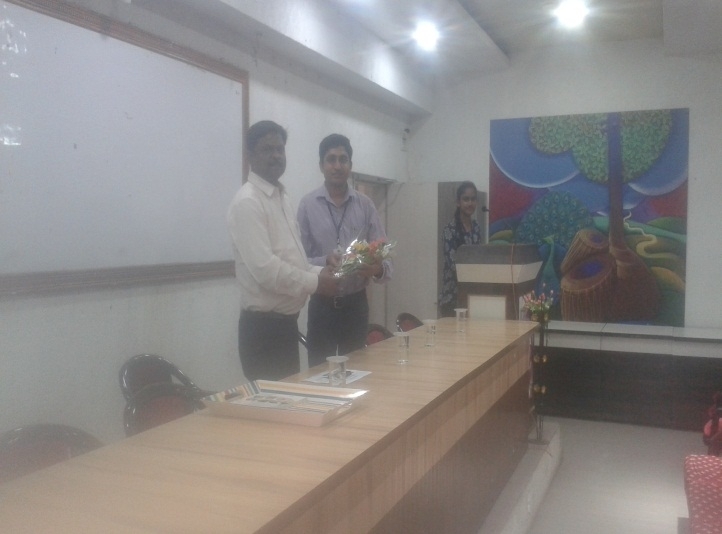 Dr. Sameer S. Terdalkar was the invited resource person. 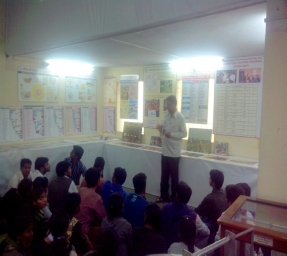 He explained the students the principles of some techniques that are very commonly used in life sciences. 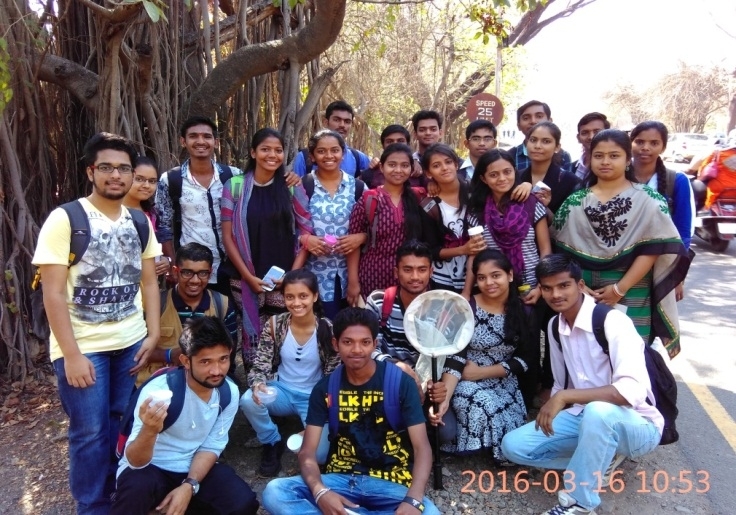 We had taken the students for a visit to a stem cell bank located in Pune city. There they had the opportunity to know various instruments that are used for tissue culture techniques and for working with stem cells. The visit was arranged on Wed, 7 th Sep 2010 from 10.30am to 3.00 pm. 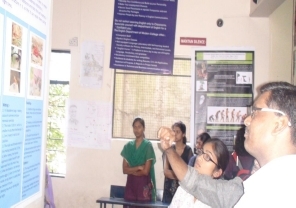 The students had a chance to interact with the renowned faculty in this field and hence they are highly motivated to work in field of Zoology and research which was the outcome of this course. The Department has taken a leading step to start Zoology Research Center under the affiliation of Savitribai Phule University of Pune and M.Sc. Zoology with Specialization Entomology. There are research projects funded by UGC, BCUD SPPU, Pune and MAHARASTRA Forest. 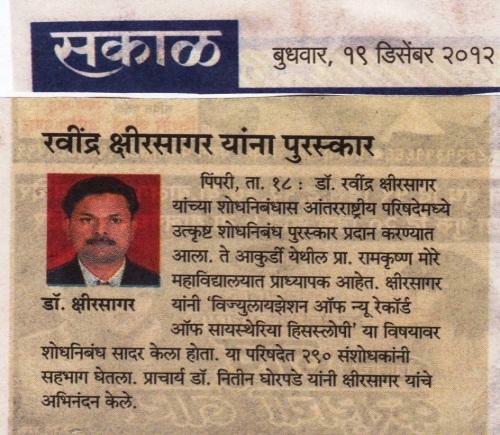 Qualified faculty recognized research guide for Ph.D. of Pune University. Research work in the areas of Ichthyology, limnology, entomology, herpetology & Phytochemistry. Regular value added courses on advanced topics to supplement the curriculum. 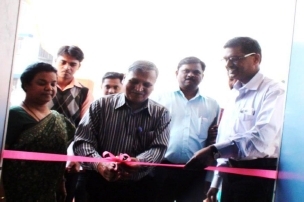 The department is sponsored by DBT-STAR, DST-FIST, UGC and BCUD. The department has collaboration with different research institute. Kharat S. S., Dahanukar, N. and Raut, R. (2001): Decline of fresh water fish of Pune urban area. Journal of Ecological Society. Vol.13/14, pp46-51. Raut, R., Desai S., Bapat, R. and Kharat S. S. (2001): Aquatic insects and mollusks of Pune city. Journal of Ecological Society. Vol.13/14, pp34-36. Kharat S. S., Dahanukar, N., Raut, R. and Mahableshwarkar, M. (2002): Changes in fresh water fish fauna in northern Western Ghats, Pune region. Pros. Tropical ecosystem proceeding of international conference – Oxford BH, New Delhi- 2001 pp. 724-726. Pande S, Saint, M., Ranade, S., Pednekar, S., Mestri, P. G., Kharat, S. S. and Deshmukh, V. (2007): An ornithological expedition to Lakashwadeep archipelago, assessment of threat to pelagic and other birds and recommendations. Indian Birds, 3: 2 – 12. ISSN 0973- 1407. Pande Satish, Niranjan Sant, satish Ranade, Shivkumar Pednekar, Premsagar Mestri, Prashant Deshpande,. Sanjay Kharat, and Vaibhav Deshmukh, (2007): Avifaunal survey of Andaman and Nicobar Islands, January 2007. Indian Birds, vol.3 No 5, 162 – 165. ISSN 0973- 1407. S. S. Kharat, Y. K. Khillare and Neelesh Dahanukar(2008): Allometric scaling in growth and reproduction of a freshwater loach Nemacheilus mooreh.Electronic Journal of Ichthyology. March, 2008 (1). 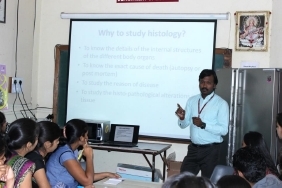 Sanjay S. Kharat and Snehal Kothavade (2012): Haematological study of Clarius batrachus with reference to Trypanosomiasis. Journal of Trends In Fisheries Research (1): 6- 9. Print ISSN: 2319-474X, Online: 2319-4758. Participation and presentation of research papers (oral/poster). 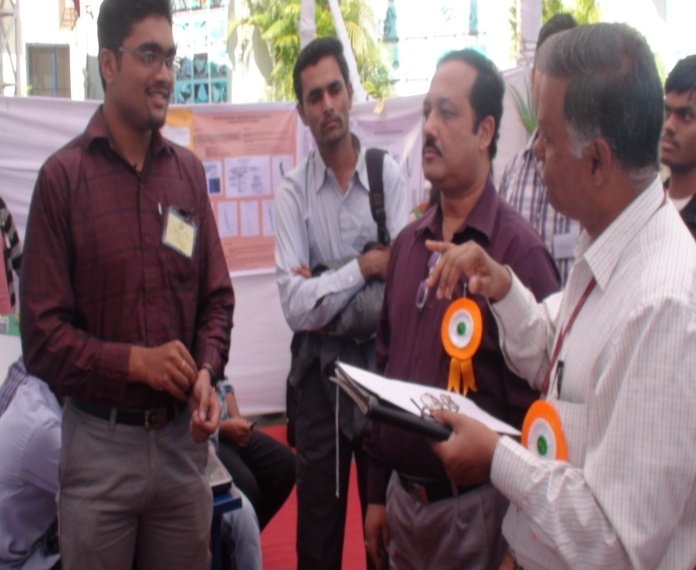 INNOVATION – 2013, Regional Conference for Pune University College Teachers. Dtd. 16 April 2013. Organized by Board of College and University Development, University of Pune. 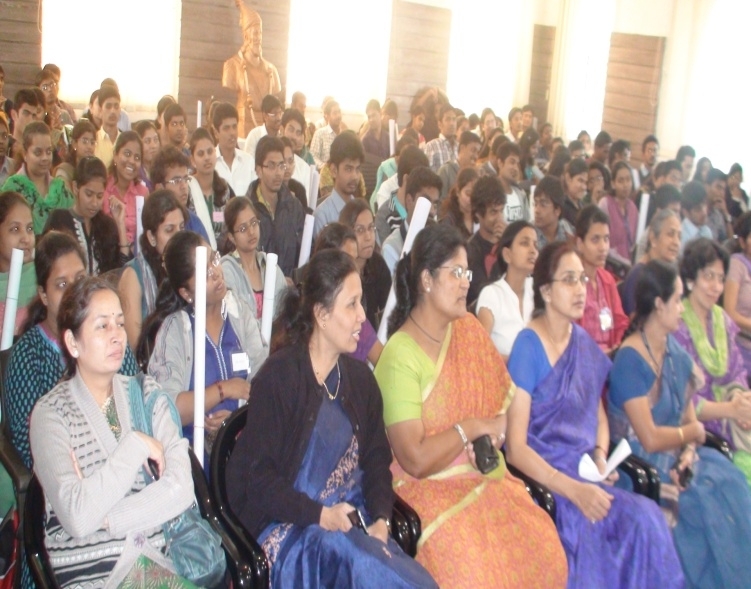 INNOVATION – 2008-2009, Regional Conference for Pune University College Teachers. Dtd. 12th & 13th Nov 2008. 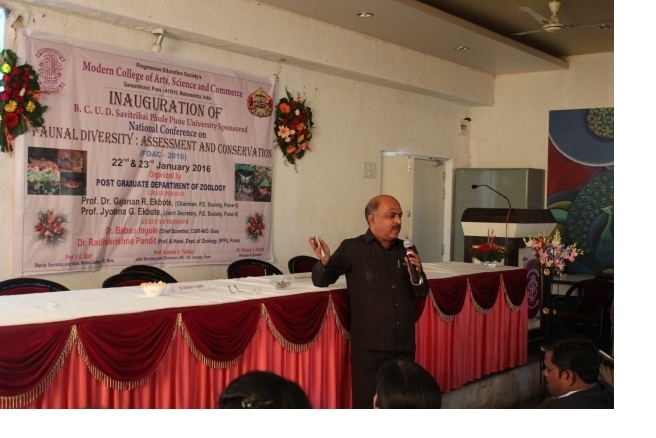 Organized by Board of College Development University of Pune. 2nd Global Conference on Entomology, Malaysia, Nov. 2013. Effect of Starvation on Digestive Enzymes of female Holotrichia serrata (Fab) (Coleoptera; Scarrabaetidae). National Symposium on Recent Trends In Malerial Studies. 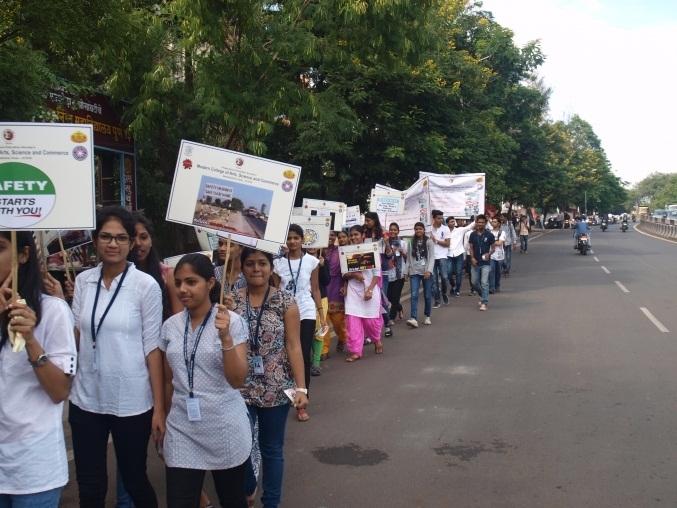 Organized by Abasaheb Garware College, Karve Road, Pune 411004. National Symposium on Status of Cold Water Fisheries with reference to Fragile, Himalayan Aquatic Ecosystems, Dtd. 29th to 31st Oct 2004. Organized by Post Graduate Department of Zoology, University of Jammu, Jammu. National Conference on Zoology, Dtd. 21st to 23rd Dec 2003. Organized by Dept. of Zoology Vivekananda College, Agastheeswaram, Dept. of Zoology St. Jude’s College, Thoothoor. 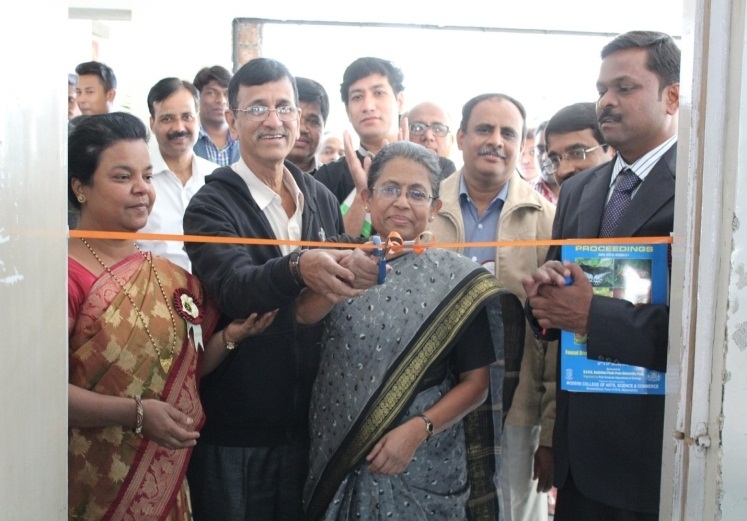 Under the Auspices of Zoological Society of India, Magadh University, Bihar. 2.Ichthyofaunal Diversity of Western Ghat of Maharashtra. Dr. Shakera Inamdar, A. A. Phadtare, M. M. Divekar,(2016) Study of Diversity of Pest Parasitoid(Hymenoptera: Brachonidae) from Northern-Western Ghats of Maharashtra. National conference on Faunal Diversity: Assessment and Conservation, 134-137 pp. ISBN, 978-81-928564-2-1. Dr. Shakera Inamdar. (2015) Diversity of Braconid Wasps (Hymenoptera : Brachonidae) on Pestiferous Lepidopteran larvae of vegetable crops. National conference on Funal Diversity: Assessment and Conservetion, 131-133 pp., ISBN. 978-81-928564-2-1. Inamdar S. A. Patil B.V. Patil V.A. (2013) Studies on monthly variations of biological parameters of Ganesh pond . 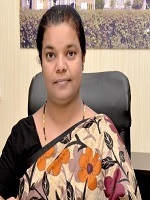 Dr. Shakera Inamdar, Canabalism in Heliothis armigera (Hubn.) (Lepidoptera: Noctuidae). Oikoassay, 5(1), 31(1988). Dr. Shakera Inamdar ,Biology of Apanteles creatonoti Viereck (Hymenoptera), a larval parasitoid of Thiocidas postica Wlk. (Lepidoptera). Entomon 13(2), 189-190 (1988). Protocol for induction and maintenance of callus has established. 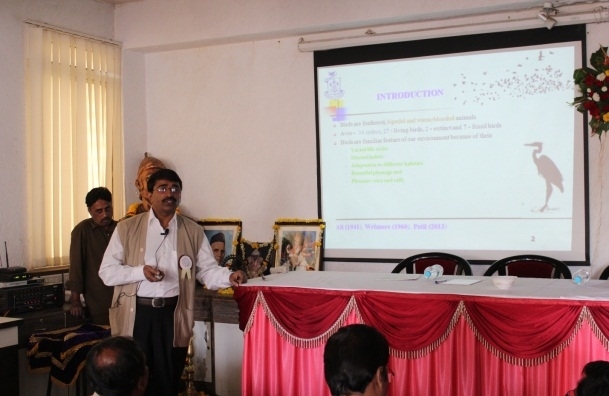 Dr. Shakera Inamdar ,Reproductive potential of Apanteles creatonoti Viereck (Hymenoptera) in relation to age of Thiocidas postica Wlk. Caterpillars (Lepidoptera) Uttar Pradesh Journal of Zoology, 7(1), 89-91 (1987). Dr. Shakera Inamdar A new species of the genus Apanteles Forester (Hymenoptera: Braconidae) from Western Maharashtra, Oikoassay, 6(1), 5-7 (1988). 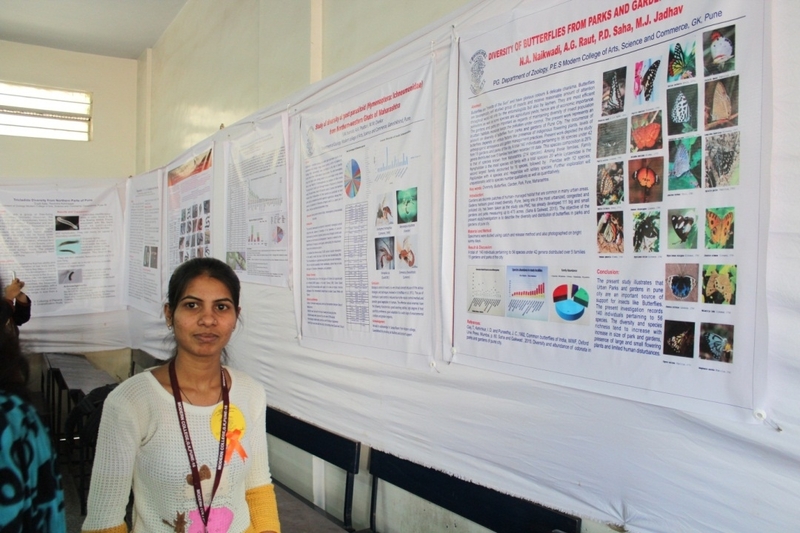 Dr. Shakera Inamdar Morphology and biometry of immature stages of Cotesia diurnal, Rao and Nikam (Hymenoptera: Braconidae), an internal larval parasitoid of Exelastis atomosa Wals. Journal of Animal Morphology and Physiology, 35(2) 143-146 (1988). Dr. Shakera Inamdar A new species of the genus Nyereria Eilkinson (Hymenoptera: Braconidae) from India. Journal of Advanced Zoology. 9(2), 128-131 (1988). Dr. Shakera Inamdar A new species of the genus Hypomicrogaster, Ashmed (Hymenoptera: Braconidae) from India. Journal of Invertebrate Zoology and Aquatic Biology, 2(1), 21-23 (1989). Dr. Shakera Inamdar A new species of the genus Sericopimpla, Kriechbaumer (Hymenoptera: Ichneumonidae) from India. International Journal of Animal Science, (1989). 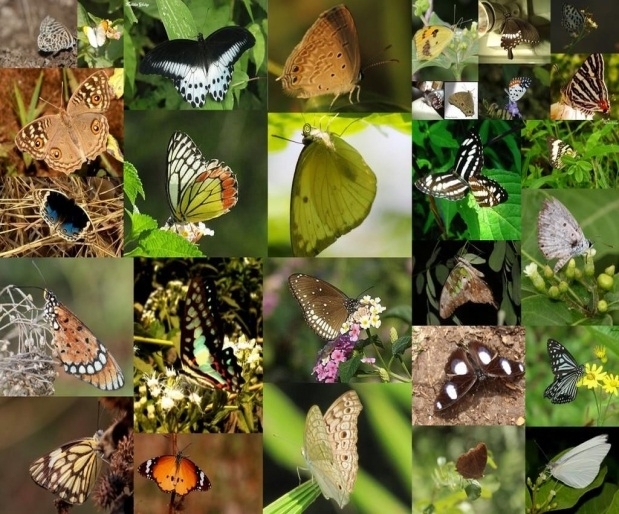 Dr. Shakera Inamdar Fauna of Butterflies from Western Maharashtra and Western Ghat (Part of Maharashtra only), India. 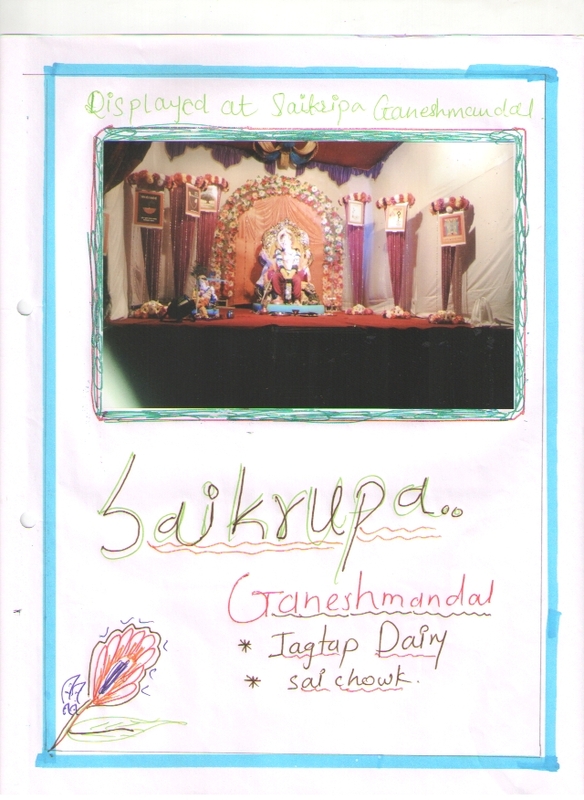 Journal of Shivaji University, Vol. 23, pp. (1989). Dr. Shakera Inamdar A new species of the genus Campoples, Gravenhost (Hymenoptera: Ichneumonidae) from India. Biological Bulletin of India (accepted) (1989). Dr. Shakera Inamdar A new species of the genus Dolichogenidae Vivereck (Hymenoptera: Braconidae) from Western Maharashtra Entomon (1989). Dr. Shakera Inamdar The ovipositor behavior of Eriborus argenteopilosus Cameron (Hymenoptera: Ichneumonidae) Hubn. (Lepidoptera) (1989). Dr. Shakera Inamdar (2015) Taxonomic study of the genus Dolichogenidae,Viereck 1911 (Hymenoptera : Brachonidae) in Pune, Maharashtra, India.. National conference of Entomology, Patiala 67 pp. Dr. Shakera Inamdar, Akshaya Padatare,(2015) The biology of Apanteles creatonoti Viereck (Hymenoptera : Braconidae), a larval parasitoid of thiocidasposticawlk. (Lepidoptera). National conference of Entomology, Patiala. 68 pp. 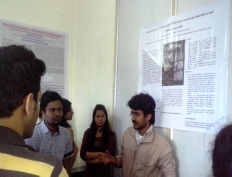 (poster presentation. Dr. Shakera Inamdar, Pooja Nagarkar, PayalChandak, AvinashKuwar, (2016) Rhopaloceran richness in relation to larval host plant from Pune, , 83 pp. (poster presentation). Dr. Shakera Inamdar. 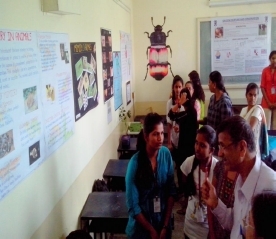 (2016) Biosystematic study of Parenion bhairavi Hymenoptera: Braconidae), International conference- ICSCCB, Pune. 261 pp. (poster presentation). 7.Dr. Shakera Inamdar, RachanaRokade, Akshay Phadtare,(2016) Diversity of Beetles (Order : Coleoptera) from Pune region and Environs. National Conference on Innovative Research in life Science,Shinghgad college of Science, Ambegaon BK, Pune. 90 pp. (poster presentation). 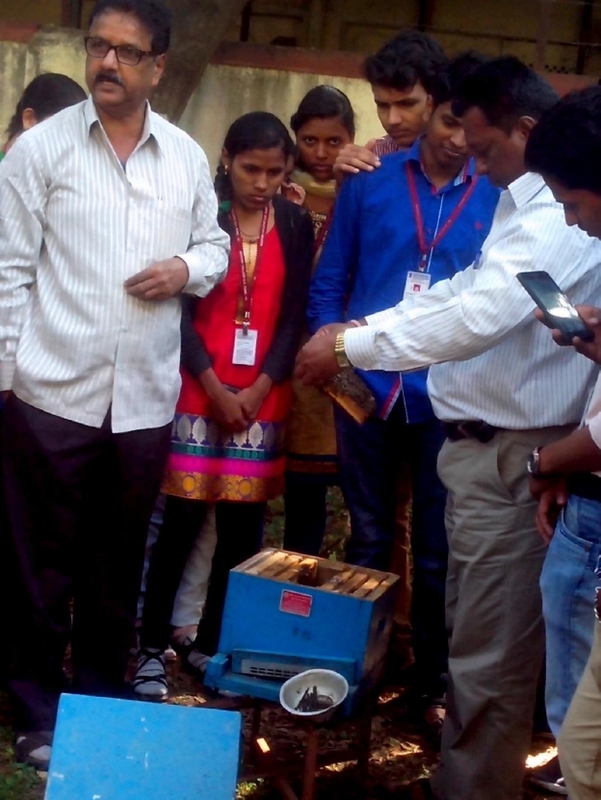 Dr. Shakera Inamdar 2013-14) “Sustainable rainwater harvesting through Continuous Contour Trenches” Organized by School of energy studies and Department of Environment SPPU,Pune. 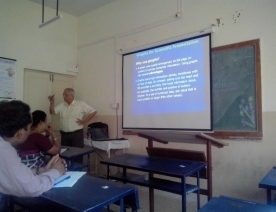 Dr. S. A. Inamdar,(2014-15) Emerging trends in Physical, chemical and life science, Waghire college, Saswad, Pune. Dr. Shakera Inamdar The biology of Apanteles creatonotu Viereck (Hymenoptera: Braconidae), a larval parasitoid at Thiocidas postica Wlk. (Lepidoptera). 75th Session of Indian Science Congress Association, Pune, 7th to 12th January 1988. Dr. Shakera Inamdar A new species of the genus Parapanteles Ashmed (Hymenoptera: Braconidae) from India. 58th Annual session of the National Academy of Science, India Jammu, 5th to 7th November 1988. Dr. Shakera Inamdar A new species of the genus Sericopimpla Kriechbaumer (Hymenoptera: Ichneumonidae) from India. 76th Indian Science Congress Association, Madurai, 7th to 12th January 1989. 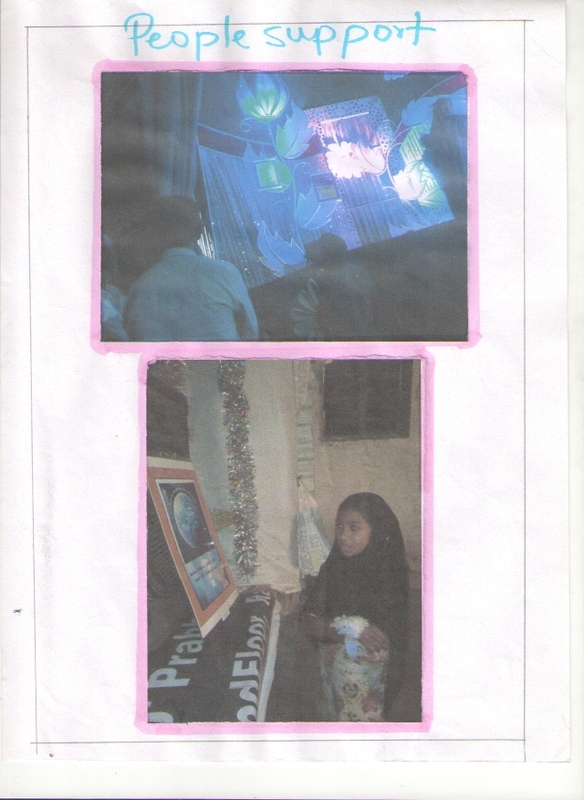 Dr. Shakera Inamdar Poster presentation in International Conference on Biosciences, Biotechnologyand Biodiversity Analysis organized by Post Graduate Centre, Department of Botany, Modern College, Shivajinagar, Pune, on 15th to 17th October 2005. 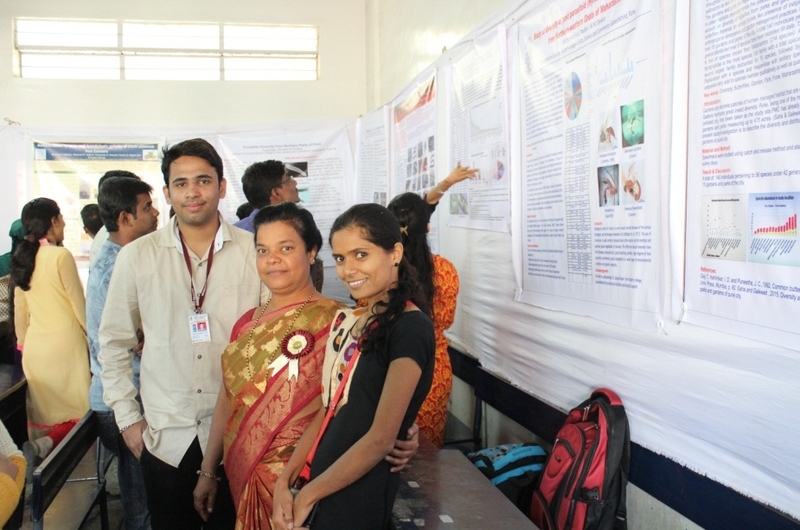 Dr. Shakera Inamdar Poster Presentation in Innovation 2009-10 Organized by University of Pune, B.C.U.D.on 19th and 20th Dec 2009.6 . A new species of genus Fornicia Brull’E (Hymenoptera: Braconidae) from Western Maharashtra, Oriental Entomology Congress, Agra, 21st to 23rd November, 1988. 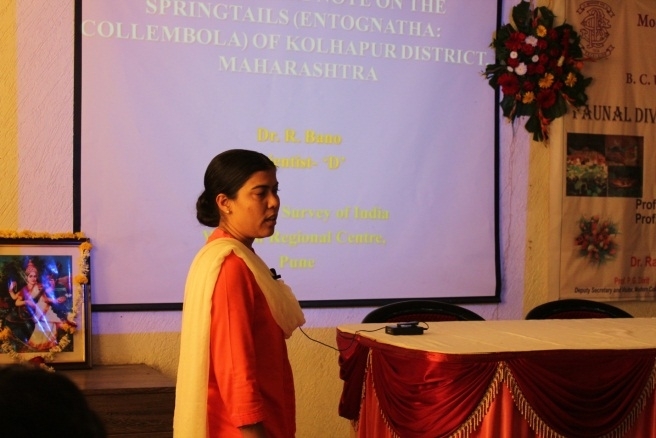 Dr. Shakera Inamdar Participated in National symposium on “Co-existence with Friendly Fauna in India” organized by Department of Zoology, Arts, Science and Commerce College, Baramati, on 15th to 17th October 2006. Dr. Shakera Inamdar A new species of the Paranion Nixon (Hymenoptera: Braconidae) from India. The National Academy of Science, India, Hyderabad, 6th to 8th January 1990. Dr. Shakera Inamdar A new species of the genus Glyptapantels Ashmed (Hymenoptera: Braconidae) from India. 77th Session of Indian Science Congress Association, Cochin, 4th to 8th February, 1990. Dr. Shakera Inamdar A new species of the genus Paranion Nixon (Hymenoptera:Braconidae)from India. The first Asia-Pacific Conference of Entomology, Chiangmal,Thailand, 8th to 13th November, 1989. Dr. Shakera Inamdar Need for value based education in the 21st century. 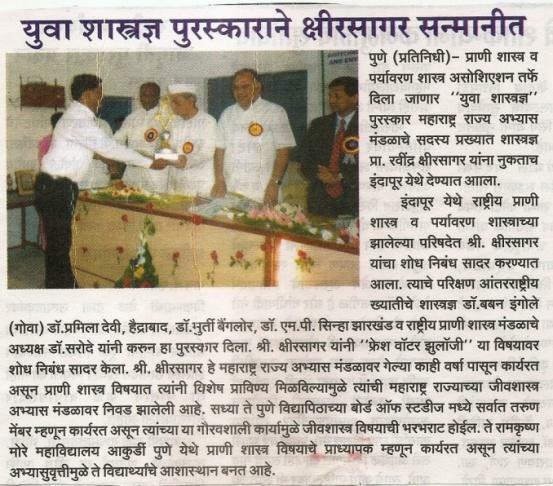 Article in Proceeding on UGC Sponsored National seminar. Special Camp planning, N.S.S Pune university, Pune -7 (2009). Identification of Insects, pests, Useful insects. Hb% and thyalesemia checking camp. Kshirsagar, R.V., Nandan, S.N., and Chaudhari, T.R. (2009). Toxic Effect of Jatropha curcas on albino rats. Bionanofrontier Journal. 2(1). 17-19. Ravindra V. Kshirsagar and Nutan Rathod (2010). Quantification of nucleic acid from freshwater fish Punctius arenatus (day) exposed to pesticides. International Journal of Advanced Biotechnology and Research.Vol.1 (ii) ISSN 0976-2612. Ravindra V. Kshirsagar, Dnyaneshwar wackchoure, Y.B.Patil (2010).Survey of plant parasitic nematodes in the lycopersicon fields of Ahmednagar district. Bionanofrontier Journal.Vol.3 (2). Ravindra V. Kshirsagar (2010). Diversity of Aquatic Bugs from lentic water bodies of Pune district, Maharashtra. International Journal of Advanced Biotechnology and Research.Vol.1 (1).pp.1-5. ISSN 0976-2612. Ravindra V. Kshirsagar (2010). Studies on conchostracans in Ephemeral water bodies of koyali (Dist-Pune) Maharashtra. Biodiscovery. Vol.1. Ravindra V. Kshirsagar (2011).Studies on embryonic development of fruit fly belonging to family drosophilidae. Biodiscovery. Vol.2. Manjeeri Deshpane, R.Chatterjee and Ravindra Kshirsagar (2011) Efficacy of Agricultural Waste for Production of Lactic acid. Bionanofrontier Journal. Ravindra Kshirsagar and J.P.Saravade (2011).Zooplankton Diversity of Two lentic water bodies from Pune District. Journal of Association of Zoologist of India Vol.4 (1) PP.32-37. Nutan Rathod and Ravindra V. Kshirsagar (2011) Impact of Azadirchta indica leaves extract on Teleost Fish. Journal of Association of Zoologist of India Vol.4 (1) PP.32-37. Ravindra V. Kshirsagar and Sanjay Kharat (2013): Occurance of dugesia (Planeria) from fresh water pond Pune Bionanofrontier Journal.Vol.7 (2).pp58. 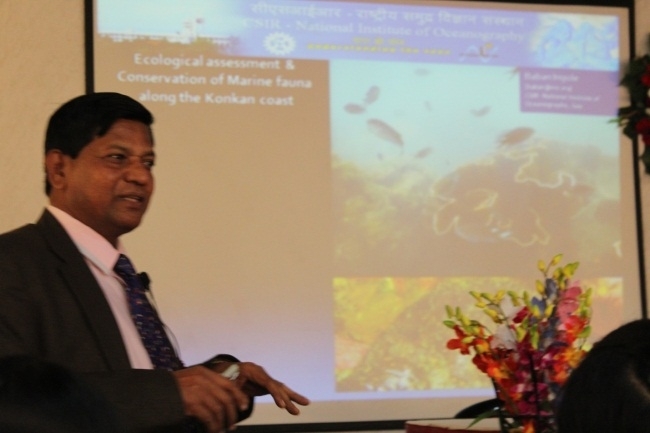 Pratibha Sawant and Ravindra V. Kshirsagar (2016): Ichthyofaunal diversity from manas lake bhugao pune. Bionanofrontier Journal.Vol.9 (2).pp58. Aquatic Diversity from Manas Lake, Bhugaon, Pune, Maharashtra , Pratibha D. Sawant and Ravindra V. Kshirsagar. 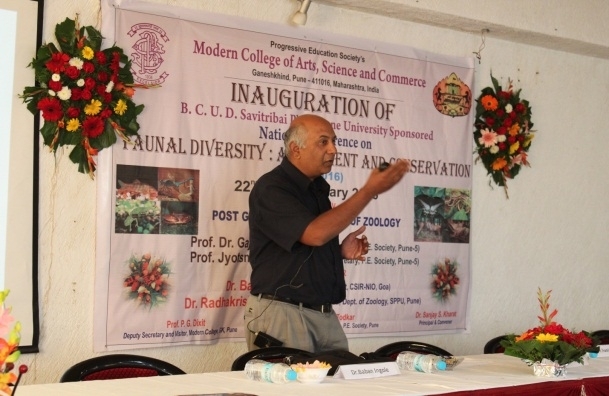 National conference on, “ Faunal diversity: Assessment and conservation” organized by Modern College Ganeshkhind Pune. ISBN: ISBN: 978-81-928564-2-1 Pp: 106 -108. Neochetina Weevils: Potential Biocontrol Agents Of Water Hyacinth. FarukShaikh, Sachin Bishnoi, Samarth Bhosale, R.V. Kshirsagar. 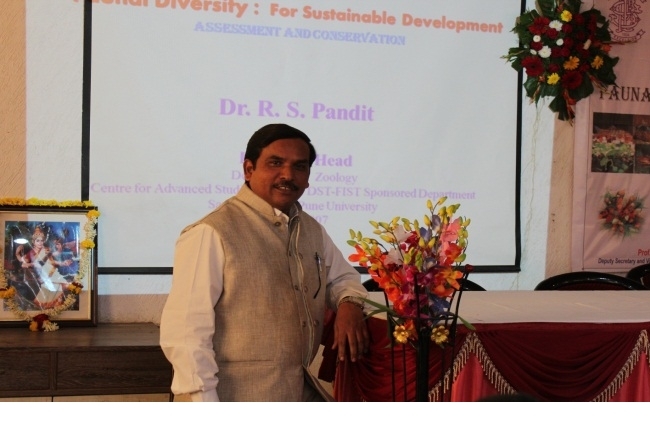 National conference on, “Faunal diversity: Assessment and conservation” organizedby Modern College Ganeshkhind Pune. ISBN: 978-81-928564-2-1 Pp:158. 3. Published a text book of Medical Zoology for F.Y. B.Sc. Biotechnology students.University of Pune. Vision publications, Pune.2006. 4. Published a text book of Animal Non chordates for F.Y. B.Sc. Zoology students. University of Pune. 1.Sanjay S. Kharat, Pradeep B. Kumkar, Siddhesh Rajapure and Kishor S. Sonavane (2013) Qualitative Phytochemical Screening of Gnidia glauca (Fresen) Gilg. Plant extract.Int Jnl of Pharma and Bio Sci., Oct.,4(4),144-148. ISSN 0975-6299. 2.Sanjay S. Kharat, Pradeep B. Kumkar and Kishor S. Sonavane, (2013). Traditional fishing techniques of adivasi tribes in Tamhini region of Western Ghats. 207 K., ISSN 2248-9975. 3.Dahanukar Neelesh, Pradeep Kumkar, Unmesh Katwate, and Rajeev Raghavan. "Badis britzi, a new percomorph fish (Teleostei: Badidae) from the Western Ghats of India." Zootaxa 3941, no. 3 (2015): 429-436. 4. Keskar Ashwini, Pradeep Kumkar, Unmesh Katwate, Anvar Ali, Rajeev Raghavan, and Neelesh Dahanukar. "Redescription of Nemachilichthys rueppelli, a senior synonym of N. shimogensis (Teleostei: Nemacheilidae)." 4059, no. 3 (2014): 555-568. 6. Katwate Unmesh, S. Jadhav, Pradeep Kumkar, R. Raghavan, and N. Dahanukar. "Pethia sanjaymoluri, a new species of barb (Teleostei: Cyprinidae) from the northern Western Ghats, India." 88, no. 5 (2016): 2027-2050. 7. Keskar Ashwini, Pradeep Kumkar, Unmesh Katwate, Anvar Ali, Rajeev Raghavan, And Neelesh Dahanukar. "Corrigendum: Redescription of Nemachilichthys rueppelli, a senior synonym of N. shimogensis (Teleostei: nemacheilidae)." 4111, no. 1 (2016): 100-100. More P. and Pai K. (2015), Involvement of tyrosine-specific protein kinase and protein kinase C in J774A.1 macrophage functions activated by Tinospora cordifolia (guduchi) in vitro (Journal of Ayurveda and Integrated Medicine: Accepted). More P. and Pai K. (2016), Effect of Tinospora cordifolia [guduchi] on the Phagocytic and Pinocytic Activity of Murine Macrophages in vitro (Indian journal of Experimental Biology:Accepted) . Priti More and Kalpana Pai (2012), In vitro NADH-oxidase, NADPH-oxidase and myeloperoxidase activity of macrophages after Tinospora cordifolia (guduchi) treatment (Immunopharmacology and Immunotoxicology, 2012, 1-5). More P. and Pai K. (2011), Immunomodulatory effects of Tinospora cordifolia (guduchi) on macrophage activation. Biology and Medicine, Vol 3 (2) Special Issue: 134-140. Priti More and Kalpana Pai (2011), Effect of Tinospora cordifolia (Guduchi) And LPS On Release Of H2O2, O2- And TNF-α From Murine Macrophages In Vitro. Journal of pharmaceuticals and Biomedical Sciences, Vol 4 (13). 1. Tricladidan diversity from northern parts of pune. 2. 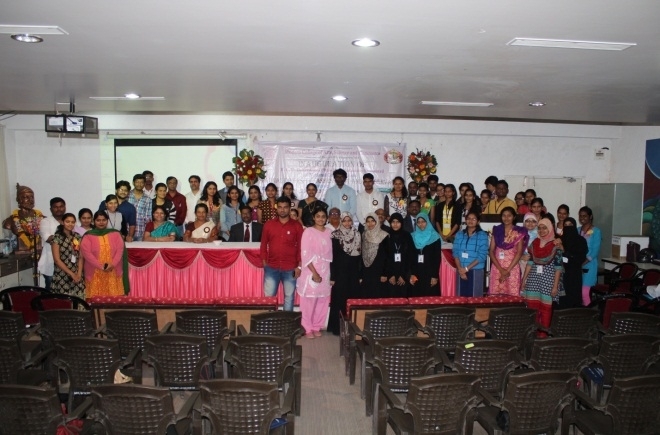 Regenerative studies on tricladidans from pune region. Molecular Biology: Electrophoresis unit, Cooling Centrifuge, UV Trans illuminator, Minispin, Micropipettes. 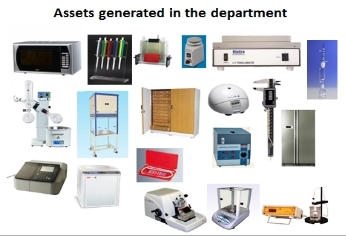 Microbiology: Laminar Airflow, Incubator, Autoclave, Micropipettes, Centrifuge, Colorimeter. Phytochemistry: Oven, Soxhlet extractor, Rota Evaporator, Spectrophotometer. For M.Phil & Ph.D Affiliated to Savitribai Phule Pune University, Pune. Best Principle Award of SPPU Pune 2015. Best College Award (2nd Position) from University of Pune 2009. Best College Award ( 1st Position) for Pune University – 2013. SHIKSHAK GAURAV PURASKAR” Shikshan Mandal, Pune Corporation. Sr. Scientist award From National Environmentalists Association (Ranchi) in the National Conference on Recent Trends In Biotechnology in Context of Animal Development & Environmental Biology at Indapur. 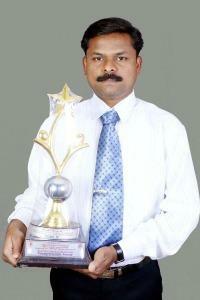 Best Principal Award 2011- progressive Education Society, Pune 5. 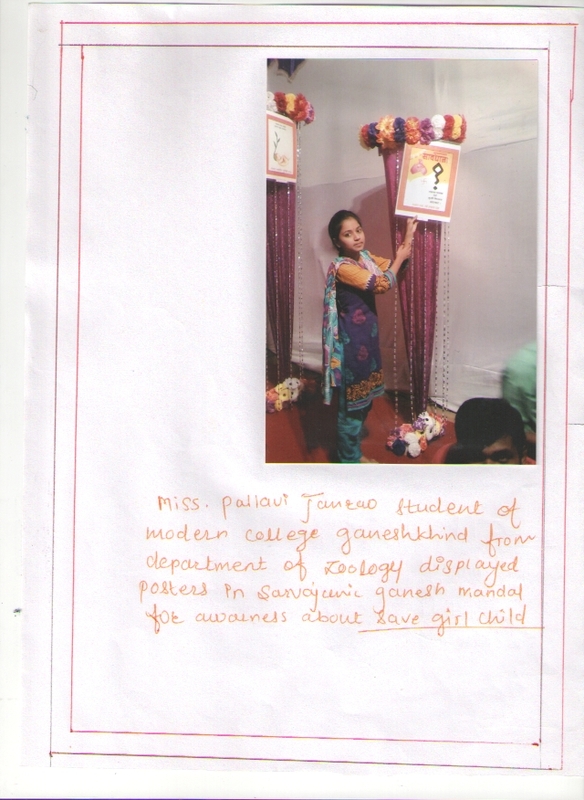 Best Principal Award 2010- State Level- Pushpai Yuvak Kalyan Pratishthan, Pune. International Award of Indo-Nepal Rattan Award, Indo-Nepal Friendship & Gold Star International Award, Indo-Nepal Friendship & Econodmic Co-operation, 2013 at Kathmandu (Nepal Economic Co-operation, 2013 at Kathmandu (Nepal). National education leadership award, In recognition of sterling Merit, Excellent performance and out-standing contribution for the Progress of the Nationl &Worldwide, Economic Growth society of India, New Delhi. Yuva Gaurav Puraskar,Nehru Yuva Kendra,Pune 2008. “Dandi Puraskar” From Maharashtra Pradesh Congress committee. On 19th Oct. 2003. “Swami Vivekananda Dnyan Puraskar” 2003. Awarded from Sangharsh Pratishtan Pune. Awarded second Prize for best paper presentation in National Conference in life sciences. 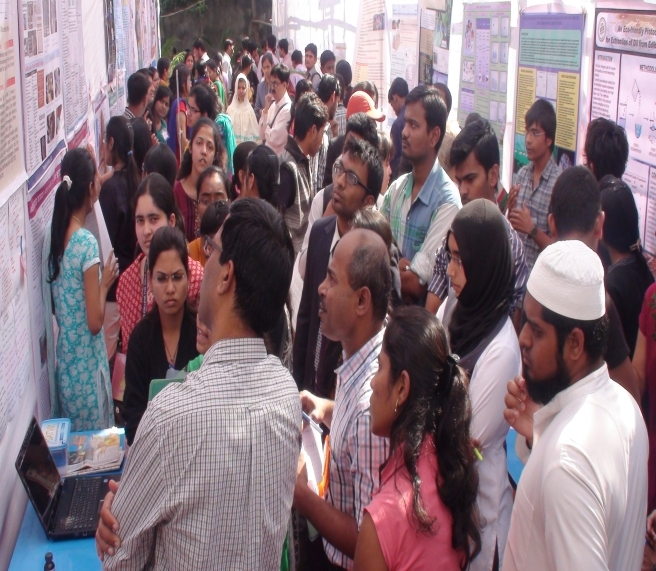 Organized by Annasaheb Magar College, Hadapsar, Pune Dated 18-19 Dec.2009. 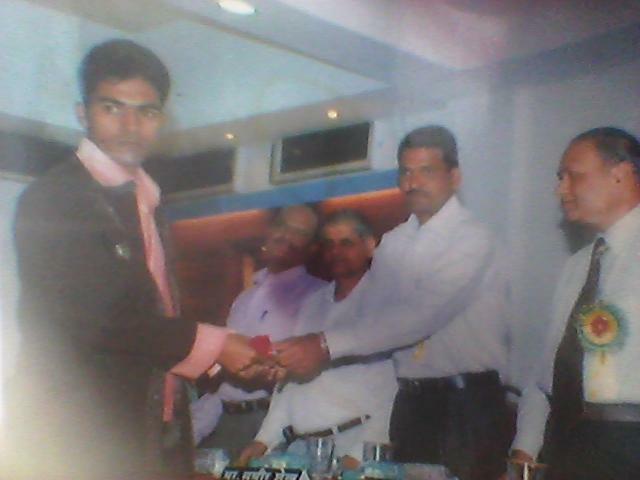 Participated and presented a research paper and awarded first prize in national conference on International year of Biodiversity 2010 A review on Indian Biodiversity and its conservation organized by Shivaji College Parbhani dated 16-17 December-2011. National level Senior Scientist Award (2015): Awarded in National Conference Emerging trends in Physical, chemical and life science organised by Zoological Society of India held in Waghire College, saswad 16-18 Feb.2015. Innovative Teaching Award .2016-by Savitribai Phule Pune University and National Academy of Sciences India. Cleared NET JRF June 2016. Cleared GATE Exam in Feb 2014. First position in University Merit List at B.Sc. Level in 2011. 1. Cleared SET Exam Dec.2013. Awarded first prize for poster presentation entitled “Immunomodulatory effects of Anbuta on macrophage activation” in International Conference on Biology Beyond Borders held in the Department of Physics, University of Pune, Pune, on 4th-5th march 2010. 1. I have passed Black Belt Exams of Karate under guidance of Mr. Anil Kadu in “Alan Thilak Karate School”. Participated in Indian Biodiversity Congress 2015 at SRM, Chennai. 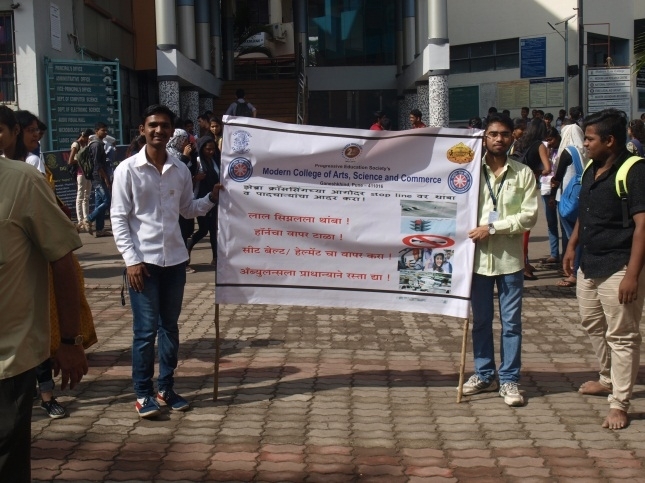 Participated in Avishkar- 2014 at F. C. College, Pune. 1. 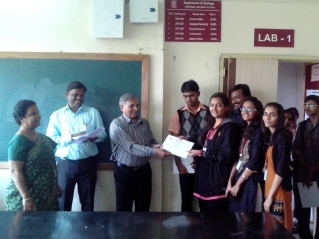 Second Prize for Poster Presentation in State Level Conference at Modern College, Shivaji nagar, Pune..